I am a woman who loves books. (You’re shocked, I’m sure. I’ll give you a moment to recover.) 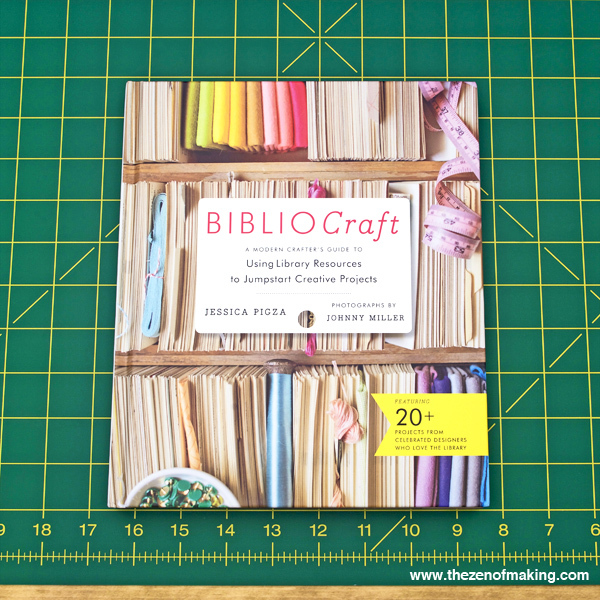 So, when my pal Jessica Pigza approached me about doing a project for BiblioCraft: The Modern Crafters Guide to Using Library Resources to Jumpstart Creative Projects [this is an affiliate link], the library-themed book that she was working on, the question wasn’t if I would design something, it was what I would design. And, after much brainstorming, I decided that my feelings of library-related affection could only be adequately expressed by something really, really big. 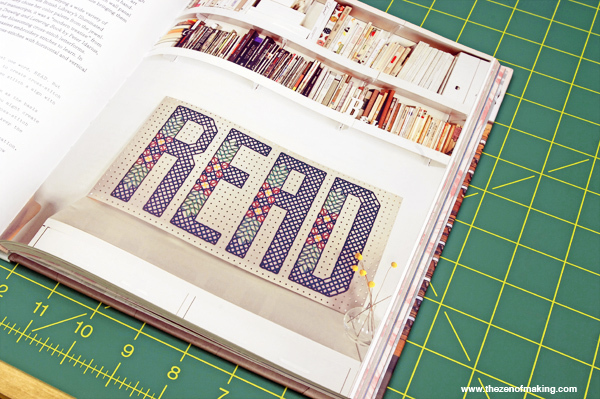 And thus, the READ cross-stitch wall panel was born! 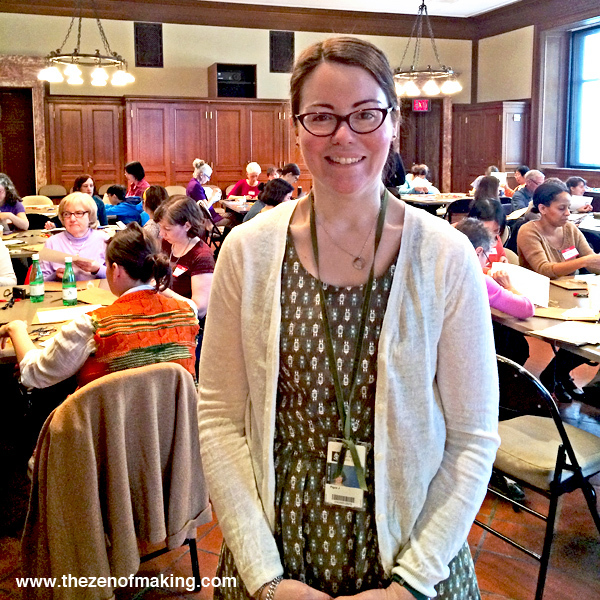 There is untold wealth in library collections, and, like every good librarian, Jessica Pigza loves to share. 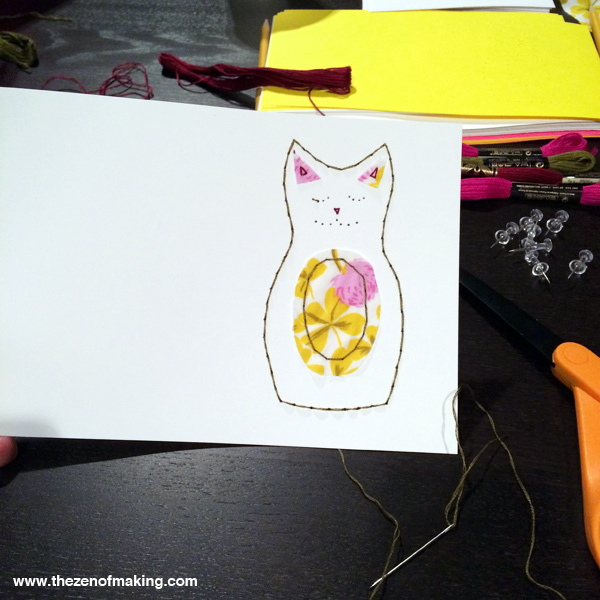 In BiblioCraft, Pigza hones her literary hunting-and-gathering skills to help creatives of all types, from DIY hobbyists to fine artists, develop projects based on library resources. In Part I, she explains how to take advantage of the riches libraries have to offer—both in person and online. In Part II, she presents 20+ projects inspired by library resources from a stellar designer cast, including STC Craft authors Natalie Chanin, Heather Ross, Liesl Gibson, and Gretchen Hirsch, and Design*Sponge founder Grace Bonney. 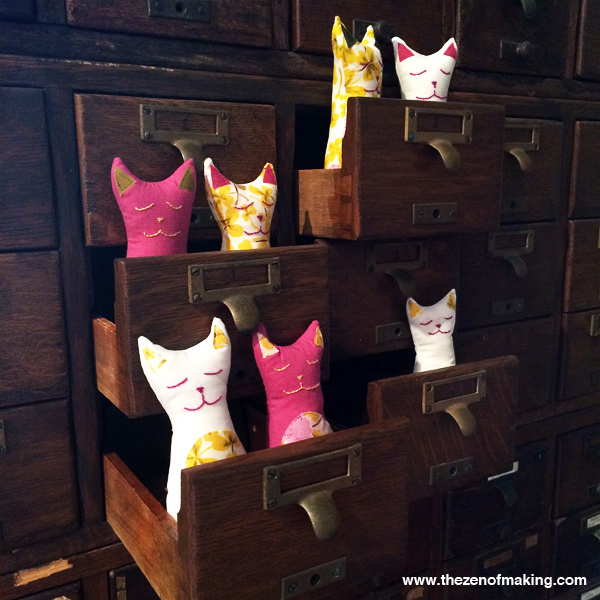 Whatever the questmdash;historic watermarks transformed into pillows, Japanese family crests turned into coasters, or historic millinery instructions worked into floral fascinators—anyone can utilize library resources to bring their creative visions to life. Are you excited? Because, I’m excited. Hey, look! My work (and my name) is in a book! Man, that never, ever gets old. I love a big, bold crafty statement, and this one’s pretty huge—just ask Jessica’s husband, who dragged it to several events for the book release. (Thank you!) 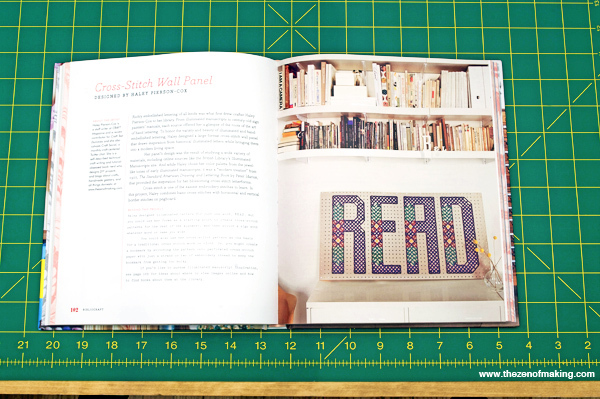 Measuring in at a whopping 2′ x 4′, my READ wall panel was stitched on a sheet of pegboard using super-bulky yarn. As you may have noticed, it most certainly isn’t the kind of needlework that just blends nicely into the background. 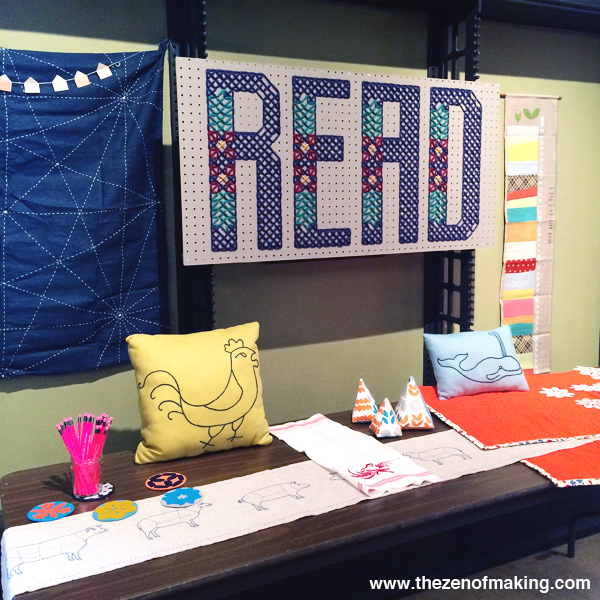 One perk to living in the same city as many authors and publishers: crafty book parties! Last but not least, here’s Jessica, the book’s author, wearing her amazing robot dress at the NYPL event.  Please note that the link provided below is an affiliate link, and I will be compensated if you choose to make a purchase after clicking through.